We received the following questions about the repair and maintenance of windows in strata properties. Tyson D’Sylva and Flavia Ger, Ace Body Corporate Management have provided the following responses. Question: One of the unit owners has cement in between the brickwork on the exterior of their unit breaking and also around their windows. Who is responsible for the repair and maintenance of windows and window tracks? One of the unit owners has cement in between the brickwork on the exterior of their unit breaking and also around their windows. Who is responsible for the repair and maintenance of windows and window tracks? Answer: Depending on what Act you are governed by, your corporation can discuss whose responsibility it will be to repair the cement between the exterior brickwork and windows. 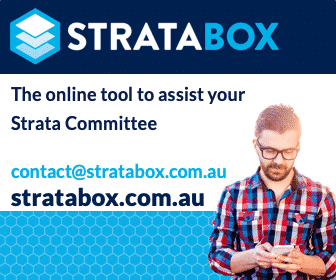 It is unclear if your corporation is governed by the Strata Titles Act 1988 or Community titles Act 1996. However, the Legal Services Guide provides the following information on each title so you can have an understanding of what each Act says in terms of maintenance. In a Strata Corporation, it is the responsibility of the corporation to maintain the common property. As per Part 2—Division of land by strata plan, Section 5 (6), states that common property is any land or space that is not within a unit – e.g., the roof, guttering, external walls and foundations are common property. In a community strata scheme, the lot boundaries are defined by reference to parts of the building, similar to a strata title. The structure itself is common property and it is, therefore, the responsibility of the corporation to maintain and insure it. Depending on what Act you are governed by, your corporation can discuss whose responsibility it will be to repair the cement between the exterior brickwork and windows. It is best to involve your strata manager and they can assist you on this process. Question: Is it an owner or the body corporate responsibility for the repair and maintenance of windows on a strata building? Who covers the maintenance of the window tracks? Who covers the maintenance of the window tracks? We contacted strata as the tracks are part of the window frames and they have informed us that they would not be covered by the strata. They state the maintenance and repair of the window tracks are an individual lot owner’s expense. In my understanding is that the windows are part of the exterior and if they need to be replaced it should come under strata. What are your thoughts on this and where do we go to try and get the problem about repair and maintenance of windows sorted? Answer: The answer will vary depending on the type of window and what resolutions your strata corporation has made. Thanks for the question on the repair and maintenance of windows. It is a very good one and may be varied depending on the type of window and what resolutions your strata corporation has made. Window frames are generally the Strata’s responsibility, as it forms part of the external surfaces to the building. Items like fly screens, roller shutters and latches are more commonly to be the owner responsibility. If the tracks are forming part of the window frame there could be an argument for it to be the Strata’s expense, however, the tracks can be damaged by the use of the window over time or the lack of maintenance by the user. This may be a grey area and warrants discussion at the next general meeting of your corporation where owners can get together and make a resolution on how to handle these issues. Another issue we have had to deal with is sliding doors that require rollers to be replaced, maybe the track and rollers provide similar function and in this case, the rollers are an owner expense. Hope that gives you some insight.. Question: Would you know who is responsible for the repair/replacement of our strata building’s windows? Would you know who is responsible for the repair/replacement of our strata building’s windows? We are in a single story Body Corporate. Our sliding window has ceased to slide open as the little wheels gliding along the bottom collapsed due to the age of the buildings. Therefore the windows can not be opened anymore, which could be a hazard in case of a fire etc. Also, I am certain it wouldn’t be just our windows, but other owner’s windows as well. At a previous AGM, I brought the issue of repair and maintenance of windows up, but I was advised it is the owner’s, not the body corporate’s, responsibly. Could you clarify, please? Generally, the window housing and/or surroundings is the strata corporations responsibility. The handles, locks and perishable items – like the rollers and fly screens – in most cases are the owner’s responsibility. Some strata corporations have made resolutions that can vary the amount of responsibility for the owners, so it is important to check what resolutions have been made. There are many grey areas within a strata and further clarification may be required. You can get this from the strata manager or other owners. It is important you attend the Annual General Meeting, as this is the time where you can have these discussions and meet other owners that may have been in the strata longer and can share what has happened in the past. Visit our FactSheets: Maintenance and common property OR Strata Information South Australia pages. If the drainage holes are blocjed with dirt, a fairly common finding, it is the owners responsibility to keep them clear, otherwise leaking occurs. These drainage outlets may be so small owners often deny their existence but a toothpick or small metal skewer will fix the problem. Thanks for this tip, Diane. Who is responsible for leaking windows? A resolution has been passed previously to say that maintenance of all windows is the owners responsibility. The Strata Manager has said that according to the bylaws it is the responsibility of the Corporation. I am a Body Corporate Manager for a group of 12 Units. If a resolution has been passed how well does this hold up. The Strata Manager has said that we don’t have a “leg to stand on”. If that is the case what is the point of passing the resolution. Has anyone got any ideas or is there a lawyer in South Australia recommended for some legal advice.